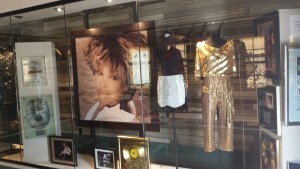 During the Association of African-American Museums Conference, someone told me there was a Tina Turner Museum in the Memphis area. I made a note to myself, and fortunately, my husband and I were able to fit it into our itinerary. When we pulled up to the West Tennessee Delta Heritage Center, we did not know what to expect. We walked in, and the desk clerk greeted us warmly. We told her about my Our Museums project, and she told us all about the galleries and exhibits in the Center. She gave us the inside story on the Home of Sleepy John Estes and shared with us about Billy Tripp’s Mindfield, an enormous and highly controversial metal sculpture in the community. 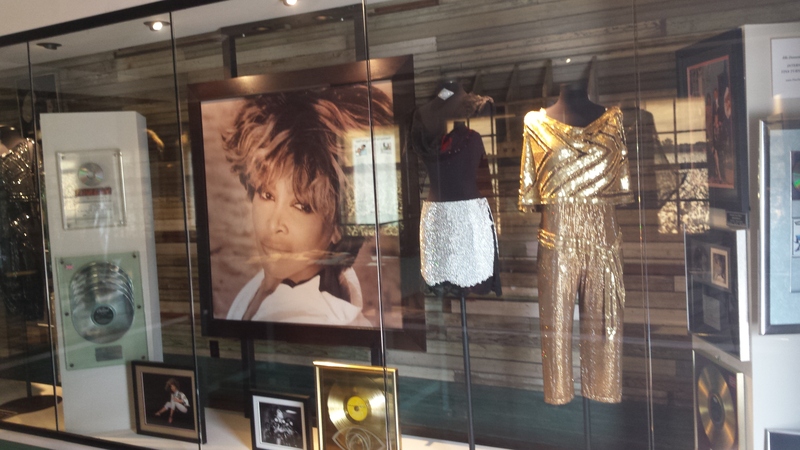 Since it was our primary destination, we started our visit in the Tina Turner Museum, located inside Turner’s childhood schoolhouse, which was relocated from Nutbush to Brownsville, Tenessee about 100 feet from the main building of the Heritage Center. The exhibit panels describe the role of schoolhouses in early 20th Century rural Black communities. In addition, of course, the museum houses artifacts from Turner’s life like a high school yearbook turned to the page with her photograph, books written by and about Turner, Turner’s costumes (all from one 2008 show), a few of her European gold , silver, and platnum album awards and most interestingly to me, cards and notes from Turner’s 2013 wedding. There are also videos on loop of Turner’s last tourand of her sharing some of her memories from her days in Nutbush . 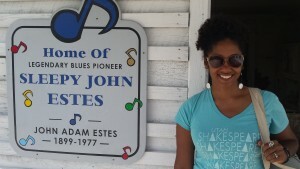 Right beside the Turner Museum, and also part of the West Tennessee Delta Heritage Center, is the home of blues musician, “Sleepy” John Estes, whose first recorded song was released in 1929. One of the most interesting artifacts in this exhibit is the cigar box guitar. 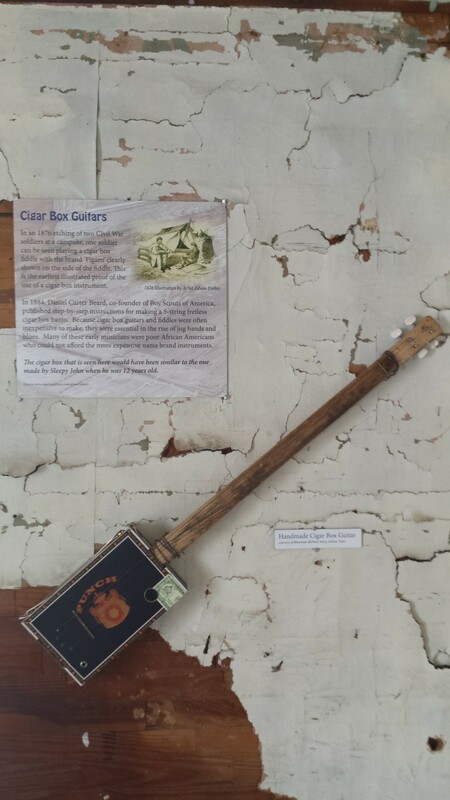 Even my musically-trained husband had never seen a guitar fashioned out of a cigar box, strings, and a stick. Estes was blind, so he depended on others to help care for him. Interest for his music declined after World War II but picked back up again in the 1960s. He recorded seven more albums and toured and performed extensively until his death in 1977. Inside of the Center are a number of galleries a few of which stood out and are worth mentioning. 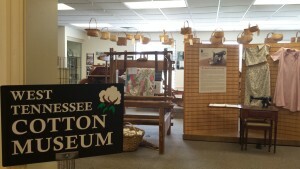 For example, housed inside of this Center is the one-room West Tennessee Cotton Museum. I explored the museum optimistically but was disappointed when I did not find a single reference to Slavery or sharecropping, which is especially ironic considering that the African-American musicians featured throughout the Center are most likely all descendants of slaves and sharecroppers. 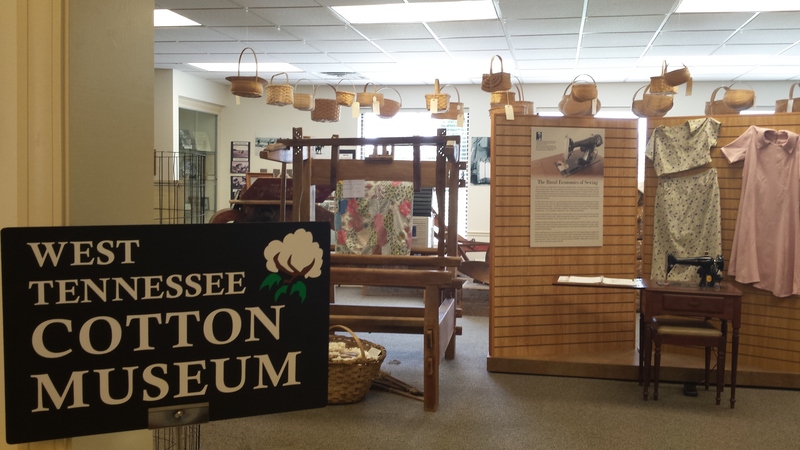 Instead, there were baskets, and clothing, a weaving loom, photographs on the wall of White West Tennessee residents who had been involved somehow in the cotton industry, and even unprocessed cotton is available for guests to touch, read about, and purchase. This was my first time visiting a museum sharing space with other museums all inside of one Center. 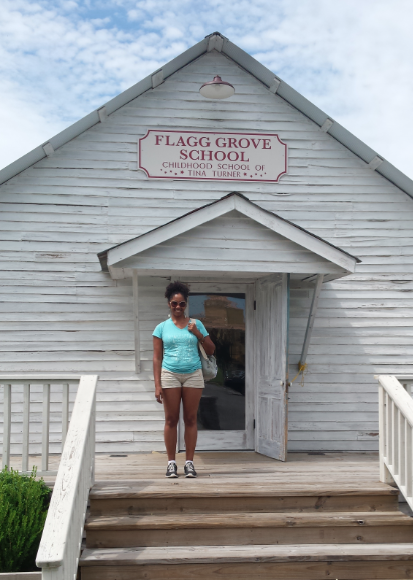 This Heritage Center provided me with an opportunity to learn about a region of the country that I would otherwise probably never have visited. My first trip to Tennessee left me thinking about omission and historical revision and curious about what thoughts and questions will be evoked by my upcoming Our Museums trips.